Walls are big in Berlin. 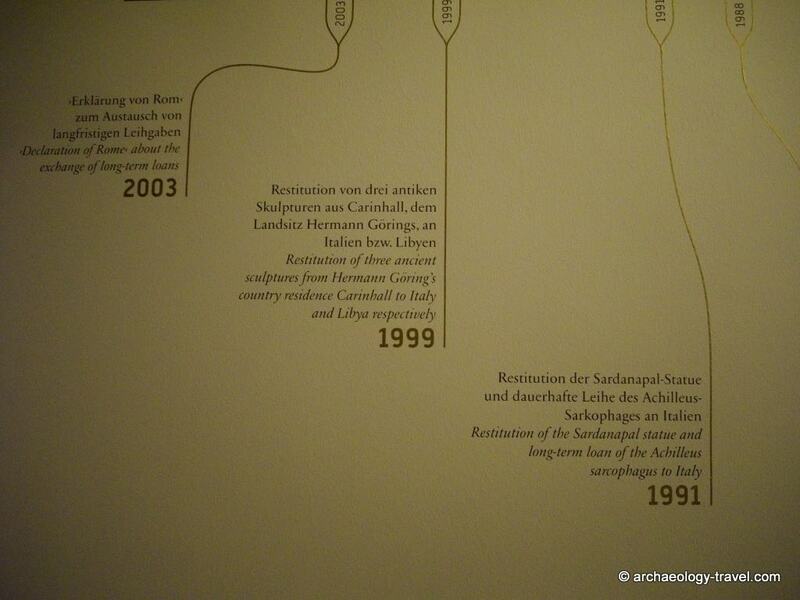 But, it is a recently created wall in Berlin’s Altes Museum that grabbed my attention. After walking through many galleries with some of the finest ancient Greek art on display anywhere in the World you enter a final, more modest gallery (before heading on upstairs to the Etruscan and Roman exhibits should you wish). This room is, however, certainly no less interesting than any of the others you have just seen. It does what so few Museums even attempt. 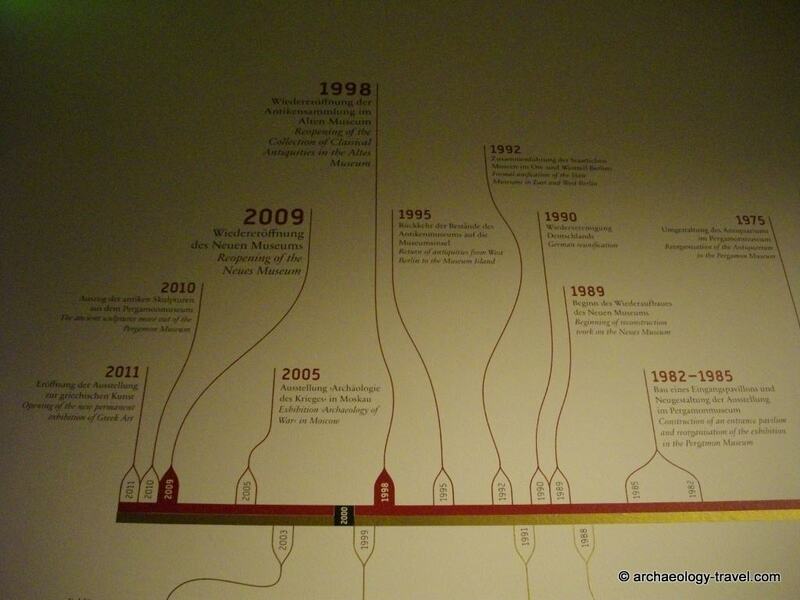 With a simple yet effective timeline painted on one of the walls it presents the story of 350 years of collecting. Perhaps it is not surprising that many museums shy away from displaying the history of their institutions and/or the stories of how the objects they exhibit come to be in their collections. Certainly for the bigger museums around the World, many of those stories are controversial, and often involve ongoing contests over ownership. But whatever one thinks about where a particular object should be housed today, the reasons why that artefact is where it is today is a fundamental part of that object’s story. Taking the Elgin Marbles back to Athens, for example, to rejoin the remaining sculptures from the Parthenon will not erase 200 years of their life story. Whether or not their new Greek curators will choose to acknowledge that history is another issue. Museums are not simply collections of objects, they are repositories of many and varied interesting biographies. And these biographies are frequently implicated in World events, as is the case for the collections of the State Museums of Berlin. In fairness, creating an engaging exhibit of those stories, including the contentious elements rather than ignoring them, is something of a challenge. And I think the Altes Museum has risen to that challenge. While some visitors might feel certain aspects are ignored or glossed over, for a permanent display this is a bold move. I have not seen anything quite like it anywhere else. 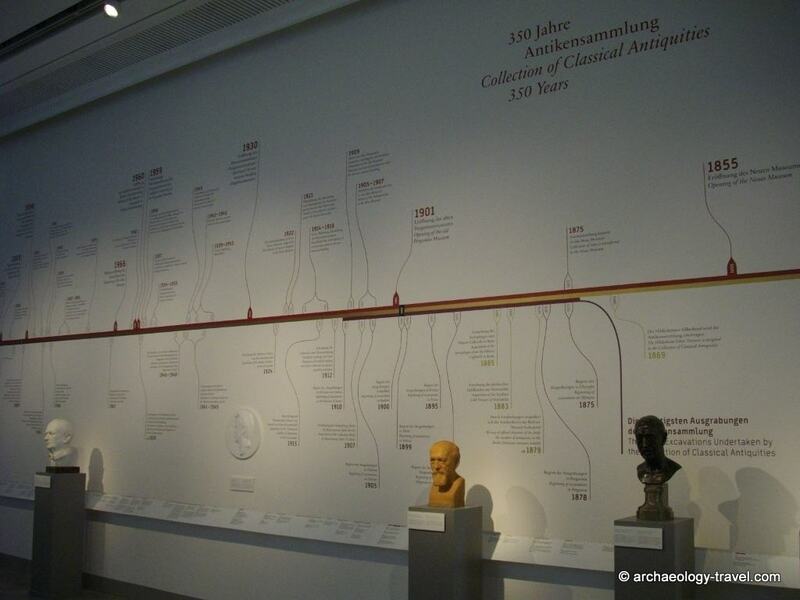 The history of the Classical collection (which includes objects on display in the Altes Museum, the Neues Museum and the Pergamon Museum) has been grouped in to three categories, each presented on a different strand on the timeline. 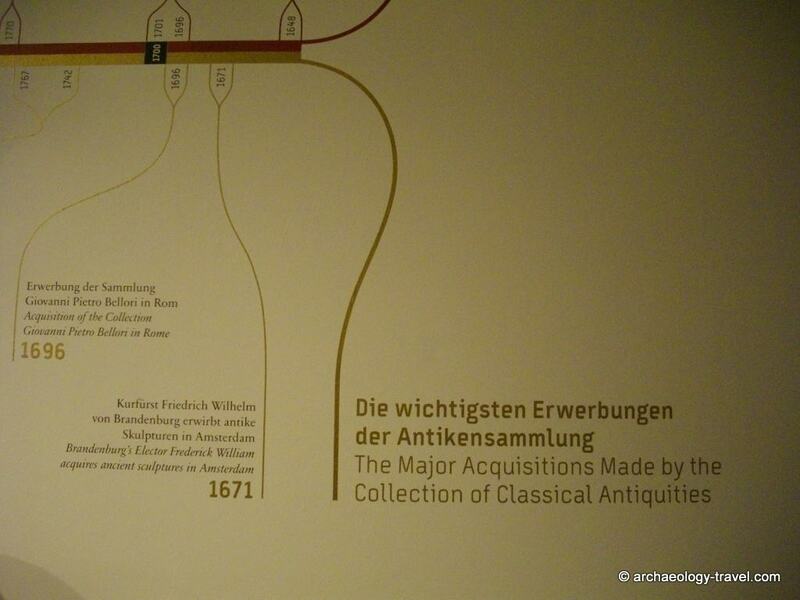 The uppermost deals with the significant dates for the museum over the last 350 years. Such as the opening of various museums on MuseumInsel, the closing of these due to war, and their re-opening. The second strand (the middle one on the wall) covers the acquisition history of the collection. Many of the earlier entries here detail the acquisition of artefacts, such as the Cafarelli Sarcophagus in 1885. 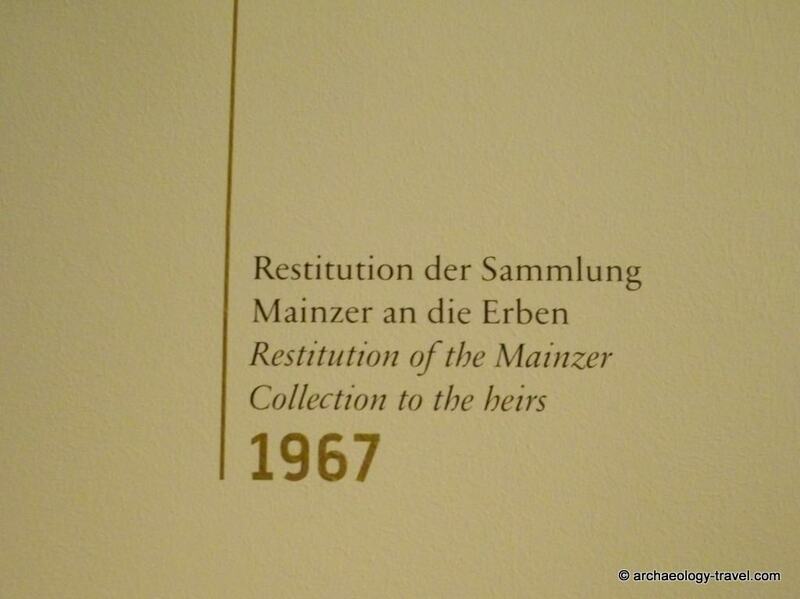 The later entries includes such events as the repatriation of objects, including objects looted by Hermann Goring. 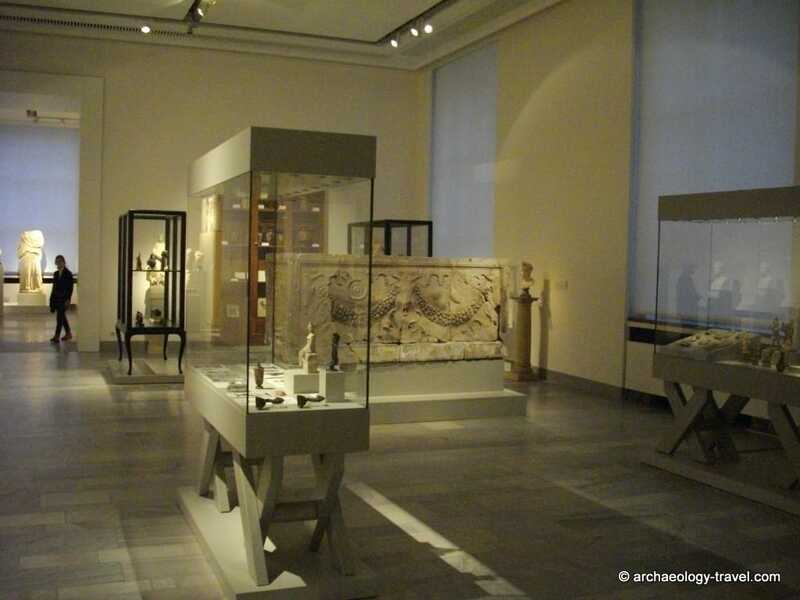 The third, lower strand provides a historical outline of the various excavations museum staff have been involved in, and during which many of the more well known pieces in the collection were acquired – for example excavations at Miletus when the magnificent market gate was acquired. As is to be expected, this is the shortest strand. Museums no longer carry out excavations with the express aim of filling out their collections. Adding to the sense of history in the gallery are a few display cases that give an idea how these have changed over the years. 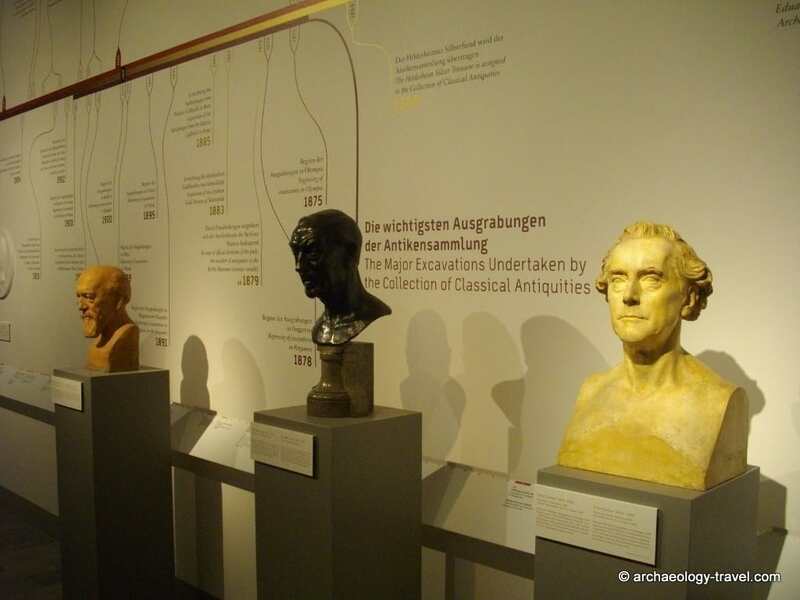 Changing styles of display cases in the Altes Museum. The gallery also includes a few objects that were destroyed during the Second World War. Part of the collection had been moved to one of the Flak Towers to protect them from Allied bombing in Berlin. 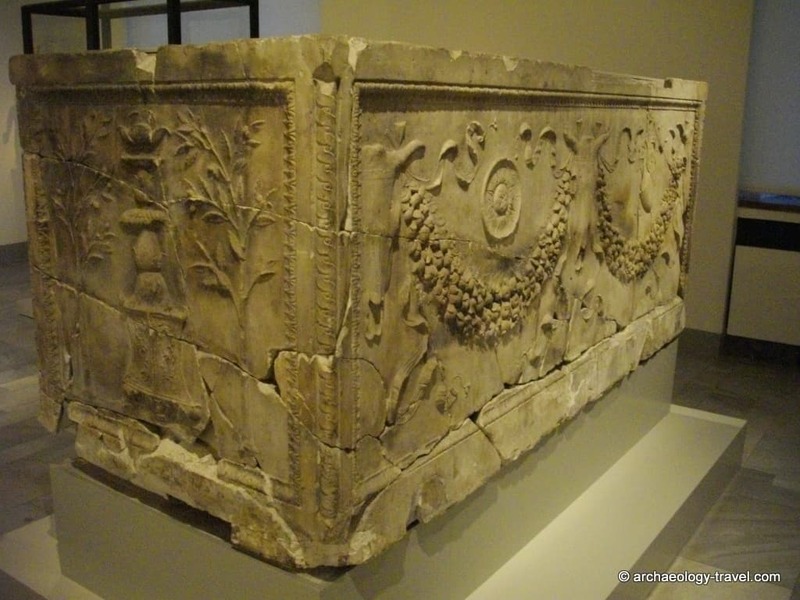 A fire broke out in one of the towers and destroyed a number of artefacts, including the Cafarelli Sarcophagus; so named because it was found on the Palazzo Cafarelli in Rome. Obviously the timeline does not deal with everything, but in my opinion this represents a welcome start. PreviousTwinned Towns … What is Next, Sister Sites?